The name already suggests it: here is a band that likes the digital and technical realm. But ivotion is more than just the modern style of generation iPod. Cool, yes. Technology loving, yes. But also a lot of emotion for and devotion to music. Not many bands can offer a voice that is equally delicate and powerful, like that of vocalist Ariane Roth. And most acts would not be able to handle Tom Huber’s eight-string acoustic baritone guitar. But ivotion showcase their uniqueness no later than with Thomas Foster’s exotic instruments. The cyber glove, Tenori and Nyx prove: ivotion is different. If you’re thinking about ready-made electronic music that only requires the push of a button, you couldn’t be further from the truth. ivotion creates their sound live on stage. 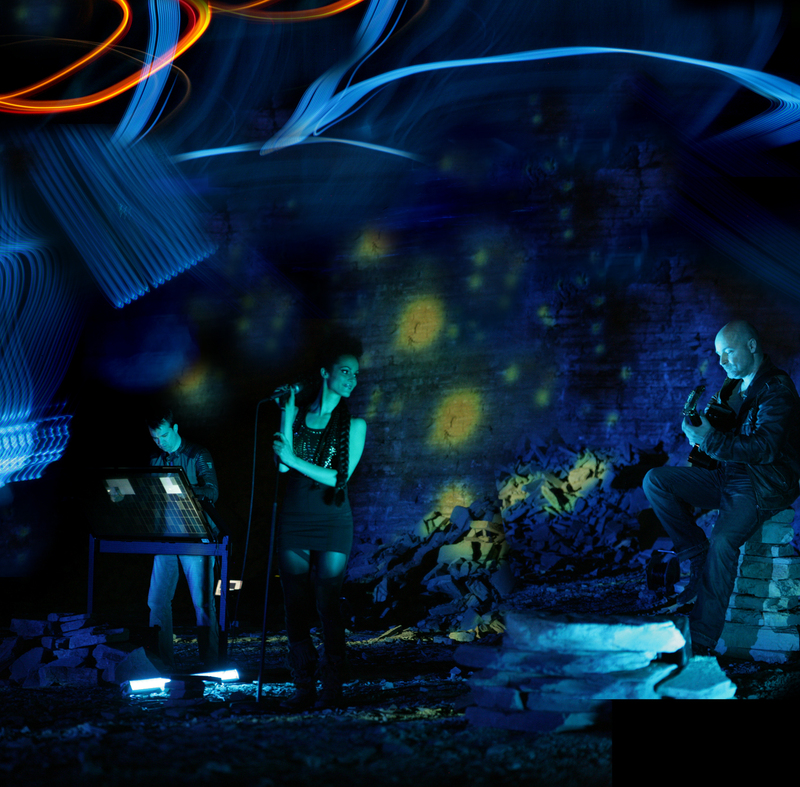 Whether it is via guitar, cello (Ariane Roth) or the innovative multi touch screen instrument Nyx. An iviotion set does not contain prearranged loops or demos. Instead it offers an element other electronic music lacks: room for improvisation. The ivotion experience is made even more unusual with the inclusion of the visual artist Markos Aristides Kern – internationally better known as Mar-K.os. While not a musical band member, the founder of Visualdrugstore is still the unofficial fourth part that completes ivotion. With his spectacular light performances, he adds another dimension to the unique soundscapes created by the band. This also makes him a source of inspiration and creative input for the project – not only one stage. With this recipe, the band from Munich, Germany, and Salzburg, Austria, successfully goes against the (main)stream and all its trends and constraints. Music for the sake of the music. Brave and creative. Beyond genre borders and resisting any stereotypes and pigeonholing. A whole new music concept that transports both emotion and creativity.